Writers shine a light on relentless, coordinated efforts by internet trolls to silence race analysis in food writing. The casual racism of the Asian salad stems from the idea of the exotic—who is and isn’t American is caught up wholesale in its creation. This use of “Oriental” and “Asian” is rooted in the wide-ranging, “all look same” stereotypes of Asian culture that most people don’t really perceive as being racist. It creates a kind of blind spot. Although many readers shared the piece, and thanked Tsui for her insight, she was also barraged with anger and criticism. And she isn’t alone. In recent years, writers who dare to look critically at the way food and race intersect have often been trolled, degraded, and threatened on and off of social media. 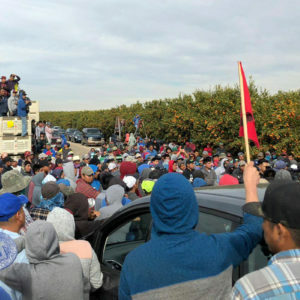 At Civil Eats, we have focused on food justice and the intersection of food and race since our inception and have also experienced this disturbing growing trend in reaction to our stories. We invited Tsui and several others writers to weigh in about the increasing and seemingly coordinated efforts to silence their voices. I was astounded by the level of rage that boiled up. It seemed that many people felt my questioning of the nomenclature was equivalent to a direct attack on America and a rejection of the existence of hamburgers and French fries. I received a lot of notes that relied on flawed logic, a set-up of false equivalencies—that just because someone writes a piece about X, she doesn’t care about Y, she is making too big a deal out of Z, she should be worrying about A, instead, save your outrage for B. The message this dismissive trolling sends: We’re not allowed to talk. We’re not allowed to make critical observations about the language we use for food, or see it as telling of our wider perceptions of the world and the people in it. It’s hard not to see a larger resonance to this. There are many perceptive, thoughtfully written stories about race and food, but from the trolling in the comments sections and on Twitter—all blunt instrument and ham-fisted vitriol, often not responding at all to what the original writings say—you’d think that subtlety and balance did not exist. They do. People of color in food maintain a triple burden: They must be equally eloquent on the roots and recipes of their specific food culture, while remaining skeptical of grossly appropriative and derivative versions of said food and culture (hello weirdly racist Asian chicken salad, fried chicken joints in blackface, and straight up stolen Mexican recipes). All the while, dealing with the interpersonal and structural racism that limits their full potential within kitchens, dining rooms, fields, or editing rooms. In the face of all this, we persist. We honor unsung food heroes. We open our dream restaurants, which pay homage to our ancestors. We have to show why we matter—bringing forth the stories, the flavors, the issues, the ingredients. We tell our own stories, because we must. And then we get told why we shouldn’t. Because blander, muted, and inappropriately seasoned versions of our food and ourselves is what sells covers—on magazines and in dining rooms. Spicy, but not too much. Speak up, but not too much. There are seven specific ways that people of color in the food world are censored and silenced in order to protect white feelings. Responses to our attempts against erasure, generally fit into one of these categories: hate speech and trolling; defensive denial; whitesplaining; the Devil’s Advocate; #NotAllWhiteFoodPeople; the culture vulture/Colombus-er; and finally, polite acceptance, which is often presented as allyship—even if it’s far from it. We cannot even talk about the truth behind our own discrimination or racial abuse without being further abused and discriminated against, particularly on social platforms that have broad reach but don’t protect users—celebrity or not. Advising people #dontreadthecomments isn’t enough. It’s not enough for people like me to control, manage, navigate their own behavior for fear of white reaction. It’s time for white people to listen and hold other white people accountable—chefs and writers alike. We’ve arrived at an interesting moment in food media. For so long, the lens through which food was viewed and documented was a fundamentally European one. But as we’ve grown more serious about our dining, the way we consume food has evolved from something that defines our interest to something that defines us. Some now see “food as identity” and many are beginning to acknowledge the limits of seeing delicious food as the exclusive terrain of white men. Readers and food enthusiasts are no longer willing to accept Eurocentrism as exceptionalism. And some food editors are increasingly making very public efforts to elevate the more diverse voices within the chorus. I know this to be true as I’ve been a beneficiary of this new enlightenment. The awkward thing, though, is that this all happening in precisely the moment in which regressive racial ideology has been given a new pass by the current administration. Racist rhetoric has been unleashed, and nowhere is this more evident than online. This convergence of events—a more diverse set of food writers, plus emboldened, overt bigotry has meant these writers and their ideas are being met with vitriolic, defensive, and just plain racist comments. Abolishing racial inequity endures as the work of the privileged, and so intrinsically, needs to loudly shouted down not by the writers who are the target of the racism, but “everyone else.” For the rest of “us,” the work continues. Keep writing. I own my own privilege in the food space. I’ve diversified my writing income streams so that I’m not as afraid to speak my mind. Not everyone has that privilege to speak out without fear that the ever-present backlash against people of color speaking their minds will lead a trauma-inducing Twitter feud—or worse. I have the privilege of multiple higher-ed degrees and a healthy writing career, which allows me to dash off an article in an hour, publish it, and not worry too much about how a wordy sentence might characterize me. Think about folks who don’t have those privileges and are trying to write about cultural appropriation or defend themselves in social spaces. The thing that frustrates me most about the current culinary appropriation conversation is how narrow it is. It fails to see the larger context of capitalist neo-colonialism and it fails to talk about social justice and true equal opportunity. Food is not your separate, happy, safe sphere, away from politics. Food is politics. Food is culture. We focus too much on the poor Americans who were “forced” to shutter their pop-up food cart (they weren’t really forced, by the way — they chose to shut down in the face of criticism); we don’t focus enough on the million small cuts a day to underrepresented people of color. Every time a Black or Latinx restaurateur is passed over for a business loan, that news goes silently into the void. 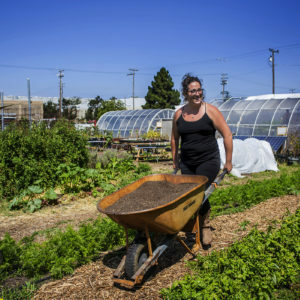 When an unofficial community garden supporting people of color in a gentrifying neighborhood is razed to build condos, it doesn’t make mainstream food media headlines, even though it’s the bedrock of feeding a community healthfully and fighting for survival. We’re too busy talking about the latest Momofuku cookies. I’m not saying I’m innocent of writing about viral trends, but how do we steer this ship toward deeper waters—such as the not-radical ideas that creators in developing nations (like the tortilla makers that the Kooks Burritos ladies learned from) should get paid for their expertise, or that slavery deserves reparations for building this country? We can’t talk about race and food, because nobody wants to acknowledge the truth—privilege (racial or gender) is a deeply satisfying possession. And we are selfish, exploitative, and manipulative in our attempt to hold on to it. And because racism does not have a benign history, and its consequences are tragic, this announcement becomes an indictment of the individual or organization as entirely awful. And nobody thinks they are evil or wants to be thought of as such, so they fight the characterization, doubling down on the position that is being assailed because if they can win the fight then they can prove they are good. This pessimistic reaction to the charge of racism conflates the disagreeable parts of who we are with the entirety of who we are. We are not exclusively, and permanently, the motivations that drive us to protect our privilege. But those are the potentials we have invested in. We can’t talk about race because we don’t want to be vulnerable, it’s uncomfortable—it’s antithetical to our psychological survival to be in an emotional space where the foundation of our identity is challenged. To talk about race and food, we have to change the terms of engagement. We should reward not just the finished product of transformation but the process. My personal experiences, hosting public dinners on race and immigration, over the last year and a half in communities across the country, has taught me that the tensions inherent in these sorts of conversations are reconcilable only through a substantive transformation of the individual and the system. Both have to inform each other, happening in tandem, and also independently. Then, talking constructively about racism becomes about exiting our current state of unwitting materialism and moving toward a less material and more emotionally vulnerable place where we can admit to being corrupted without seeing ourselves as irredeemable. Thank you so much for sharing! As a white male who has passively consumed whatever is set before him, I am quite blind to the issues you are raising. Thank you for sharing your needed stories that help us all see clearer (though not perfectly by any means!) I have recently started a bi-weekly "digest," for lack of a better word, with friends and family with an attempt to help broaden all of our perspectives and help us engage the world a little more deeply. Such a group needs these stories so that we can get outside ourselves and learn a little more about the world around us. Maybe, as we become aware of these issues, we can become partners for change. great story, thanks for the clarity of analysis, the diversity of voices, the eloquent articulation of how food and race cause discomfort among those who lack a privilege or oppression analysis. aka many white folks. "Culinary appropriation" is what most people call "culture." If I am a white male, should I stop patronizing restaurants run by people of color? Where does "culinary appropriation" end? Doesn't my reservation prevent a person of color from having a desirable table for cuisine that apparently only people from exactly the same ethnic background are able to appreciate? Ipso facto this comment, article above it is all true. Categorize under "unwillingness to understand," "deep-seated superiority/inferiority complex," and who knows what other psychological malaises that are too much trouble for people of color to sort through. Sigh. Appropriation is different than appreciation, and in either case, supporting the culture that created the cuisine is exactly what you should do. I have no doubt your commentaries that touch on race are barraged with hateful, racist responses. I long ago resolved to avoid looking at the comments on anything posted on the Internet about race, because those sorts of comments ALWAYS show up, and that glimpse into the cesspool is too depressing--and I'm white. But I also suspect there's a dose of POC fragility in your sensitivity to any pushback. After all, the most sacrosanct facet of POC privilege is that racism is entirely a white thing--abundant evidence to the contrary notwithstanding. Recall, for instance, Chris Rock's performance as MC at the Academy Awards several years ago when he spent a couple of hours berating, for good reason, white Hollywood for excluding blacks, and then thought it would be a hoot to call three Asian children onto the stage and introduce them to his global audience as "our accountants: Ding Dong Duck, Long Dong Bong, and Ching Wing Ding." As for those POC food writers who bitterly oppose "appropriation" of another culture's culinary traditions, I beg to differ with you and your bosom buddies on that issue, who include the KKK. They have long bitterly opposed "any intermingling and amalgamation of races," to quote the Southern Manifesto signed by a couple dozen senators who filibustered for months in a futile bid to block the Civil Rights Act of 1964. You could also count as your allies on that issue the Japanese who (and I love them dearly, having lived there for five years) have got to be among the most blithely racist people on earth. I learned early on, at the age of 10, that a good way to insult a Japanese person was to answer the question, "what is your favorite Japanese food? ", by saying ramen. That's not Japanese, it's Chinese, they would always reply with barely disguised disgust--nevermind that it was incorporated into everyday Japanese cuisine centuries ago. They even have a different style of writing, katakana, for "foreign" things such as ramen, to help keep them from polluting racially pure Japanese culture. Is that the sort of thinking we should adopt in the US? If you think so, be aware that in Japan, fourth and fifth generation Japanese of Korean heritage have to register each year with their local police departments as "foreigners" and are barred from many jobs and marriages. If that's what some of you POC food writers want, well, I'll beg to differ. I see intermingling and amalgamation of races, cultures and cuisines as a way that our fundamentally racist species is evolving towards a better future. I like Asian style salads. I don't think I've ever seen it on the menu anywhere with some kind of dumb jokey name. This article left me feeling like someone kicked me in the stomach, like I've had my head buried in the soil, as opposed to reading/hearing/watching the news daily. I am so sorry. I am sorry that some subset of humans has been so cruel, so unthinking, so disrespectful of our creative, hard-working kin. We should be celebrating all the wonderful diversity and creativity that has gone into sustaining our collective cultures over the generations and sustaining our bodies now. Hooray for those of you who labor in our fields to bring us healthy food; hooray for those of you who labor in our restaurants and kitchens, creating dishes that thrill our palates and bring us together at the table; hooray for those of you who write about food and injustice, who open our eyes to the changes that need to happen. I work for a nonprofit that strives for healthy food, healthy farmworkers, healthy communities. We are enthusiastically, actively working toward greater equity, inclusion and diversity in all we do as an organization, facing the hard truths, such as I have read here, in order to create a better world. Thank you all. I shall share this article with my colleagues that it may better inform our work. There is obviously much work to be done. I would like to hear a Native American perspective. It seems to me that several things are being conflated in this article. Cultural borrowing is how cultures evolve; how is borrowing different from "appropriation"? Is the complaint that borrowed cuisine is presented badly, or that it is presented inauthentically? Is the problem that the ethnicity of the people who profit from the borrowed cuisine is different from the ethnicity of the people who developed it? Is the problem racist nomenclature or images associated with the sale of the cuisine? The scattershot nature of the complaints makes it hard to take them seriously. As a woman of Mexican descent who occasionally indulges in Taco Bell tacos, I wonder if the real complaint is the lack of access to capital by POC, who see white males easily find financing for ethnic food restaurants. Yes, I think that is the real issue. I don't think is fair to blame the white person that got the loan that perhaps should have gone to a person of color. It is fair to rage against the system that continues to act in an unfair manner. Unfortunately, all the hate seems to be focused on the individual, not the system and that just accentuates and perpetuates the division between races. Dakota referred to the Kooks Burrito food truck story a few weeks ago (how I was introduced to the concept of food appropriation) and said "they weren’t really forced, by the way — they chose to shut down in the face of criticism". I kind of call BS on that. I am very familiar with that incident and I would not call what they encountered criticism. It was more like a tidal wave of hatred, profanity that washed over them in front of everyone. I don't believe that any business would be able to operate in those conditions. I am sure that there have been businesses owned by people of color that have had a similar experience, but that doesn't make it right. Tunde Wey is spot on when he says that we have to change the terms of engagement when we discuss racial and cultural issues. Today, both sides of the argument seem to want to beat the other over the head with their positions and you will never really change someone's opinion that way. You may get someone to grudgingly change their behavior, but that is not real buy in. An honest and open discussion has a much better chance of obtaining the real desired result, which to give EVERYONE the same chance to be successful in whatever they choose to do. We is you and me, and also the people sitting next to you on BART or the subway or bus that you don't know and don't talk to. Of course the only part of "we" that I can change is myself, it's up to every single person to determine where in the spectrum of ideas and engagement he or she fits. Children appropriate cross-cultural foods readily, I still remember my son, in kindergarten, coming home from visiting a fellow kindergartner's home and telling me he wanted to have an avocado. I had never seen, much less eaten, an avocado. Now I have appropriated them into my kitchen, and have an idea of the variety of Peruvian cooking, such as purple potatos and some delicious beans. Wow! You opened my eyes. I never thought about these things before. Restaurants are certainly high-handed in tossing about racial names for dishes. I hope POC have more opportunity for opening bars & eateries. Stick to your guns with writing about these issues. I am a senior & see lots of age-ism. It hurts. And it's real. I sometimes go to street food events, and see white people serving food from multiple different cultures. It makes me wonder whether the food is authentic, and who owns the business. After all, it's possible it's run by someone from that culture, who is the main one profiting from their and their ancestors' efforts, but I don't know that if they aren't on the stall. I want to ask about it, but I'm so tired of being perceived as the weird easily offended SJW all the time. Thank you so much for this article. As someone who grew up in the restaurant business, became a chef, and continue to work in the food industry in another capacity I have been frustrated and angered by the cultural appropriation of so many of our native cuisines. It is especially frustrating when chefs/restaurant owners pimp out a culture just to make a profit and not to pay homage to that culture or cuisine. There is a difference, you know, and you can feel it when you walk into any restaurant. Whether it's billed as being "ethnic cuisine" or not. I knew what I was getting myself into in reading the comments for this article and I was not disappointed. But, wow. What people of privilege always seem to miss is that racism and white privilege is pervasive and embedded everywhere, in everyday life. We are ALL impacted yet we are not all affected the same. And by not acknowledging it, you actually help to sustain that system of oppression. It is a system of POWER and PRIVILEGE, where that power is afforded to some and not to the others. This is not just about calling someone the n-word or a w*tback. When you are living within an institutionalized system of power that benefits white people, we may not be able to name specific ways in which we experience privilege but it does not mean we do not expereince it or benefit from it. The tree still falls, dammit. Doesn't matter if someone saw it or not, acknowledged it or not. I am half Peruvian and half North American (U.S. born). My skin is white, therefore, I benefit from white privilege. This is not hard for me to say nor is it hard for me to accept. But it wasn't always so. As many of other mixed-race kids I struggled to find my place. In order for me to find it, however, I had accept certain things about myself and others. I had to acknowledge there were/are differences between us. My worldview has absolutely been impacted by this privilege. We do not all experience Boston, MA the same (where I was born and raised). We do not all get served the same in restaurants or at all (yea, that still happens). We do not all get the same type of jobs or advance at the same rate. African Americans and Native Americans get detained and killed by the police far more often than any other race/ethnic group in the U.S. There are differences. Period. This is what this article highlighted for me -- that even in communities where people purport to be liberal and progressive in the food movement, feathers still get ruffled when someone exposes something that feels discriminatory or racist. Why not just consider someone else's perspective for a change? Sit still with it. Sometimes we need to feel uncomfortable. This is how we grow. Some guy who used some type of phrase like "POC sensitivity" didn't ruffle my feathers, as perhaps was his intent, but really just revealed once again that certain people have a very hard time looking at themselves and understanding the broader concept of racism and how it works. We can be so much more if we were to just listen to each other and then reflect on how hearing what someone said impacts us. I've done this, and it has made me very angry at times. Actually, a lot. Then someone asked me what the point of being angry is if I do not then use that emotion to propel me into doing something good, positive,, to enact change. This is what I feel the author's of this article were doing. And so, here I continue to be, educating myself and putting all that anger and frustration to good use. I spread the good word in everything I do. And I don't mean the Bible. I simply mean my love of people (and food and food justice) -- and I've got special love for my brown people and my brothers and sisters of other races. Especially my sisters, as we carry culture and our ancestors in our blood and our DNA. One person at a time, we can change the course. So, I started with me. That's where we can all begin. That's where we should begin. Thanks for sharing! 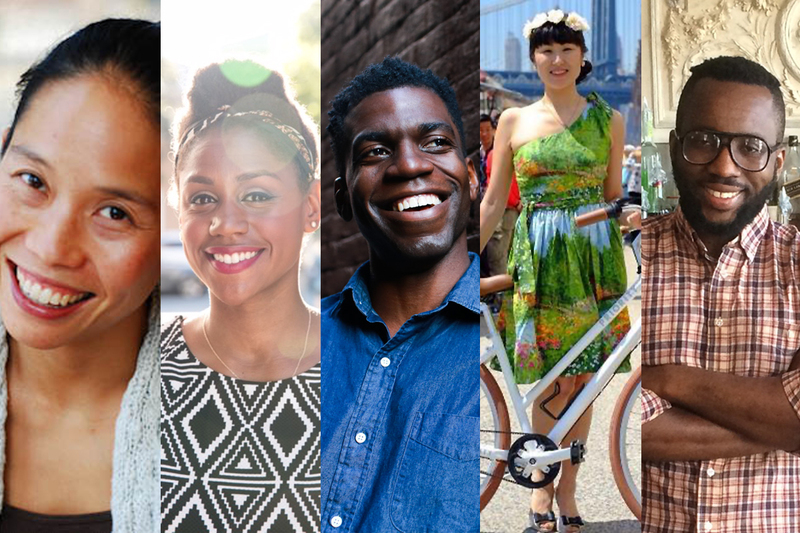 Each writer had really interesting and eye opening insights into race and food. I've learned a lot in just a couple of minutes. This article is right on time for me. I own a website Soulbythespoonfulmagazine.com and I hope to turn it into a digital and print magazine. It's focus is on healthy and/or vegan food by black cooks and chefs for us. In step with my venture I belong to a few vegan groups on Facebook. The larger groups are predominantly white. But, I joined for the information and didn't think much of it. About 3 weeks ago, a black woman posted an article in one of the groups that spoke about appropriation of food developed by POC in the mostly white vegan community and I'm telling you those people lost their minds. Every undercover racist and their apologists came out and the others were offended that they were being called out for their priviledge. As I was of course involved in combating the crap that was being slung around, it was eye-opening to see priviledge in FOOD, of all things. Fast forward to this weekend, in a different vegan group someone posted a Twitter post where a black woman asked if vegans have created gardens in economically challenged areas to make veganism more accessible and once again privilege was deep with comments such as "People in the hood don't eat fruit and vegetables. ", "Why do they always want handouts. ", "If they don't have money for fresh food, they need to do better." "If you live in the hood, you need to move." Interesting enough, most of them had not a clue what a food desert was and when I asked, "How can you as a vegan have more compassion for an animal than you have for another human?" There was no answer. If I had any doubts (which I didn't) about whether this train of thought was isolated, this proved it was not. There are disparities in the black community being recognized in the vegan community. So much so, that many of the brands that black vegans use do not have marketing campaigns that feature people who look like them. Quality food should not be based on your zip code and it definitely should not be divided based on race. Thank you for this thoughtful, important discussion about "food as politics, food as culture" from multiple viewpoints. I will be sharing it on my FB feed. Thank you for publishing "Why We Can't Talk About Race in Food." It is super enlightening and important. I will share it with others and continue to hold myself and other white people accountable when it comes to people of color in the food world (and everywhere). This article cites 'Greek salads' as if what US Americans call a Greek salad were what a Greek would call a Greek salad, and the author does not even seem to realise that xe is committing a deplorable act of cultural appropriation and annihilation in so doing. There are many different regions and peoples of Greece, each with its own culture, gastronomic fare, and salads. Treating all Greeks as if they all ate the same salads is a grotesque steamrolling of cultures and culinary significances, and worse still perpetrated by someone from a dominant culture on the other side of the Atlantic. Could the Ancient Jewish Practice of Shmita Be a New Tool for Sustainable Ag? 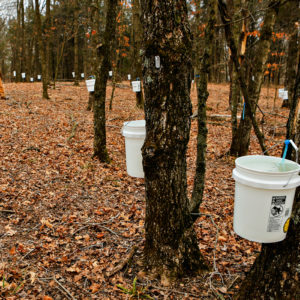 Could Maple Syrup Be a Climate Change Solution?